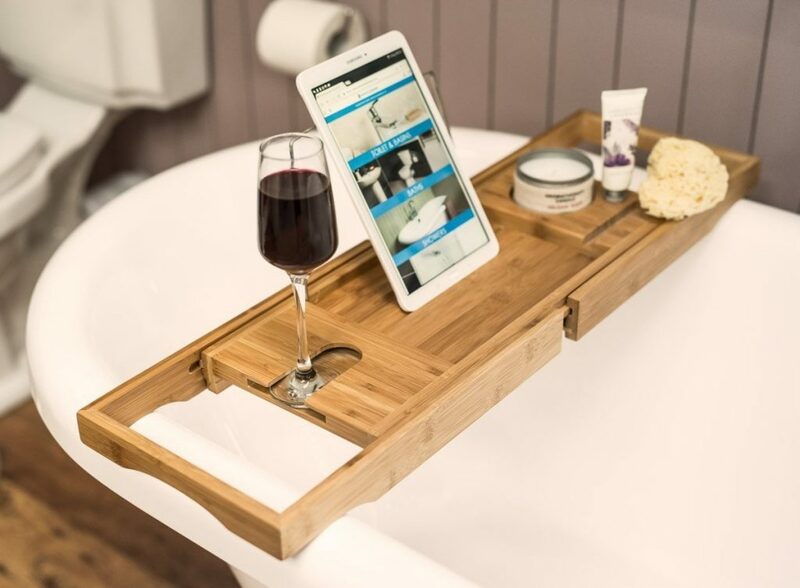 Behind door number six of the 2018 #LittleStuff24 Advent Calendar is a bathroom treat – a Bamboo Bath Caddy with Book Stand & Wine Glass Holder! Come on – you KNOW you’ve always wanted one of these! And don’t even get me started on kindle-dipping. But this caddy has a built in tablet, book AND wine holder. And there’s enough space left over for all of your bathroom essentials to sit comfortably and securely so you can bathe with everything you need to hand. The bamboo bath caddy is the perfect addition to any bathroom, it truly lets you kick back and relax in your tub. And we’ve got one to give away, thanks to the lovely people at Bathroom Takeaway! To be in with a chance to win it, just answer the first four questions in the widget box below. There are more chances to win by completing the other entry options if you so wish – they’re entirely up to you! The closing date for this competition is 11th January 2019 and only entries received on or before that date can be included. The winner will be the first randomly chosen entry. Good luck!